Imagine for a moment that you live in an apartment building, rent commercial space in a shopping center, lease office space in a building, own a house in a densely wooded area, or manage a government agency in a building that does not receive much sunlight due to surrounding structures. Now imagine that you want to purchase solar panels and install them on your premises in order to have some degree of energy independence. The scenarios mentioned above are real-life examples of barriers that make it more difficult for consumers to use solar panels at their home or business. The first three scenarios represent a barrier that is caused by a lack of ownership. Tenants must have a landlord’s permission to install solar panels on the landlord’s property. Even if the landlord were amenable to this arrangement, tenants will likely choose not to install solar panels if they plan to relocate in a few years. The last two scenarios represent another type of barrier: insufficient sunlight for energy generation. Many of us have probably considered buying solar panels at one time or another only to pass on the idea when confronted by some type of barrier. Since we are limited to deploying solar panels at our place of residence or business, we are essentially prevented from investing in solar energy if our place of residence or business faces one, or more, of these barriers. But, what if we had another option at our disposal, i.e. 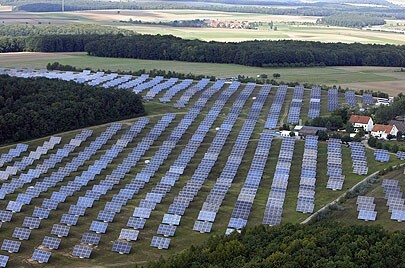 the Solar Hosting Farm (SHF)? SHFs would overcome most, if not all, of these barriers. Located on a plot of land with an abundant source of sunlight, SHFs could be designed and developed for the sole purpose of hosting solar panels for both residents and businesses. Energy generated at SHFs would be sold directly to the grid with the income received by SHF customers used to offset utility bills. If SHFs were readily available, might consumers change their minds about buying solar panels? The answer may be yes for a large number of residents and businesses. What are the common types of barriers encountered in traditional solar panel deployments? Is there a similar type of hosting model being used successfully in another industry that might serve as a guide? What would a SHF look like? What benefits might residents and businesses gain from a SHF? What energy and tax policies might be enacted by federal and state governments to encourage the use of SHFs? What key metrics can we evaluate at a high level to gain an understanding of existing and potential solar panel adoption levels in the United States? What actions are necessary to facilitate the development of SHFs? Explore Raymond's argument in the full article at the Ecology Law Quarterly's website, Ecology Law Currents. Raymond Marshall is a Certified Public Accountant with a B.S. from the Haas School of Business, U.C. Berkeley, and a M.B.A. from Golden Gate University, San Francisco. This research was originally published by the University of California, Berkeley.